“Higher oil demand is expected in the 3rd and 4th quarters”, HE Dr Mohammed Bin Saleh Al-Sada, Qatar’s Minister of Energy and Industry and current OPEC President has said, expressing positive sentiments in a brief released from OPEC. He added that since February of this year, the price of oil had experienced a steady improvement following a decline in crude oil production, supply outages and a decrease in oil inventories, while the global demand for oil improved in that period. Dr Al-Sada said that the recent decline observed in oil prices and the current market volatility is only temporary. These are more of an outcome resulting from weaker refinery margins, inventory overhang – particularly of product stocks, timing of Brexit and its impact on the financial futures markets, including that of crude oil, he explained. The Minister said the economies of major oil-consuming countries are expected to improve, which, in turn, would augment oil demand in the coming quarters, especially in preparation for the approaching winter season in the Northern Hemisphere. 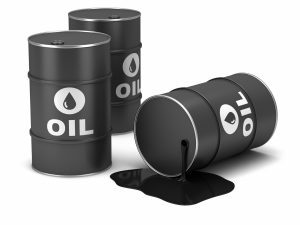 This expectation of higher crude oil demand in 3rd and 4th quarters of 2016, coupled with a decrease in availability is leading the analysts to conclude that the current bear market is only temporary and the price of oil would increase during the latter part of 2016. He reminded stakeholders that investment is needed not only to meet the growth in demand but also to stem the natural decline of oil production from operating wells. Dr Al-Sada alluded to the expected decline in the oil supply vis-à-vis the demand and tightening of the markets in the period ahead, due to the unprecedented drop in capital expenditure in the Oil & Gas projects across the globe during 2015 and 2016 leading to curtailment of investments which were scheduled to be undertaken over the next four years. OPEC said it continues to monitor developments closely, and is in constant deliberations with all member states on ways and means to help restore stability and order to the oil market. An informal meeting of OPEC member countries is scheduled to take place on the sidelines of the 15th International Energy Forum which will take place in Algeria from 26 to 28 September 2016.